One of the top priorities of a leading research group is to produce quality research that is publishable in internationally accredited peer-reviewed journals. StatDisT is no exception to this. Furthermore, it is important to build contacts within our research field via national- and international conference attendance and presentations. StatDisT encourages its group members to actively partake in various research activities in order to build a strong network of statisticians who are serious about research in the field of statistical distribution theory. 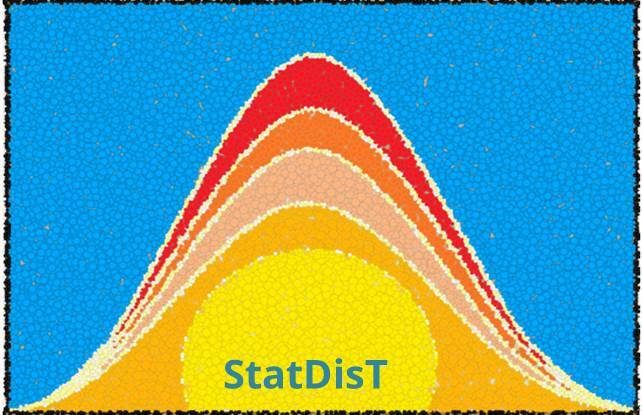 StatDisT (Statistical Distribution Theory) research group is a dynamic research group based in the Department of Statistics, University of Pretoria, Pretoria. (a) distributions with bounded and unbounded domain; (b) the distributions of operations on independent/dependent random variables/matrix variables; (c) normal and non-normal distributions; (d) methods to derive new distributions; (e) properties of new distributions using theory supported by mathematical software; (f) inference (classical and Bayesian); and (g) applications. Please click on the links below to find out more about the StatDisT research group.